Property Location Located in Oklahoma City, Biltmore Hotel Oklahoma is in the business district, minutes from Celebration Station, and close to White Water Bay. 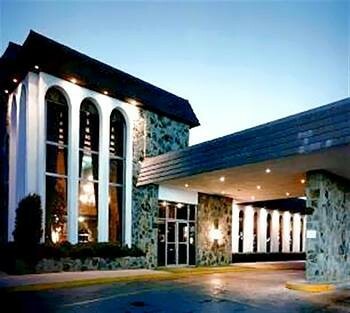 This hotel is within close proximity of EB Jeffrey Park and State Fair Park.Rooms Make yourself at home in one of the 506 air-conditioned rooms featuring refrigerators. Your pillowtop bed comes with down comforters. Complimentary wireless Internet access keeps you connected, and satellite programming is available for your entertainment. Private bathrooms with shower/tub combinations feature complimentary toiletries and hair dryers.Rec, Spa, Premium Amenities Dip into one of the 3 outdoor swimming pools or enjoy other recreational amenities including a nightclub and a steam room. This hotel also features complimentary wireless Internet access, gift shops/newsstands, and a hair salon.Dining Grab a bite to eat at the hotel&apos;s restaurant, which features a bar, or stay in and take advantage of room service (during limited hours). Relax with a refreshing drink at one of the 3 bars/lounges. Buffet breakfasts are available daily for a fee.Business, Other Amenities Featured amenities include a 24-hour business center, a computer station, and a 24-hour front desk. Planning an event in Oklahoma City? This hotel has 20,000 square feet (1858 square meters) of space consisting of conference space and meeting rooms. A roundtrip airport shuttle is complimentary at scheduled times.